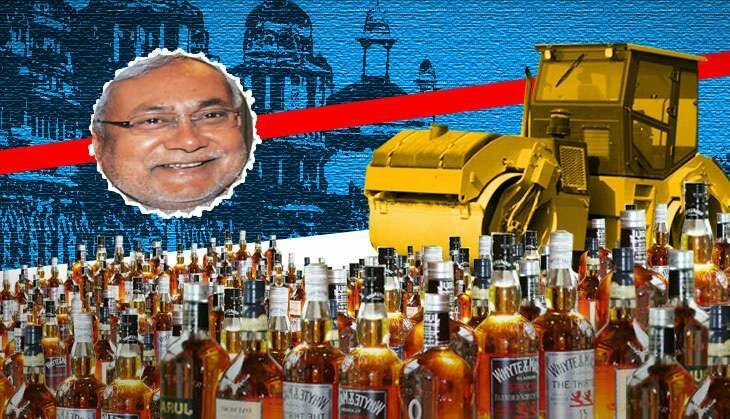 With flood waters receding in Bihar, and the bungled relief and rescue operations no longer a hot topic of conversation, the real trouble for Chief Minister Nitish Kumar is once again his pet policy of liquor prohibition. Especially in the aftermath of the Gopalganj hooch tragedy, prohibition continues to be the talk of the town across the state. Initially, the state government refused to admit that 19 deaths had occurred due to the consumption of toxic liquor. But after forensic reports proved it, the government responded by suspending 25 policemen and announcing compensation for the affected families. The government was in a bind over extending the same magnanimity to victims who had survived the tragedy. While some invoked humanitarian grounds to argue for the same, a section of the government felt these people were guilty of breaking the law, and therefore, the law should take its course. The liquor ban had some other ramifications too. There were reports of a shortage of homoeopathic medicines, and a sharp increase in their prices following the prohibition. It was also stated that the prohibition policy was adversely affecting tourism revenue in the state. According to a senior official in the tourism directorate, the Bihar tourism industry was already suffering after the Bodh Gaya blasts in 2013. Now, the ban on liquor has dealt such a severe blow to the industry that it would be difficult to compensate the losses. While the number of tourists coming to the state had reduced by one lakh in 2014 because of the blasts, the figure has come down even more drastically in the first two months of the ban. Around 13,839 people have been arrested for breaking the prohibition law during the past four months. This is a record for arrests under any law in such a short period. Every day, stories circulate about the negative publicity the liquor ban has attracted outside the state. Yet, the compulsive guzzlers are still finding ways to get liquor from across the state boundaries. The only difference the ban has made is that the cost of liquor that has increased ten-fold. "There is no difference in liquor supply in our area. Now, drinkers spend more money on their habit than on their families," says Prem Prakash, a resident of the Puraini village in Buxar district. "I am a supporter of Nitish. However, it is difficult to understand why he has become such a hardliner in his present tenure." Why has Nitish become an 'extremist'? In a state where one can find even the country-made weapons at ease, it is difficult to understand how liquor prohibition would be successful. "Every day, the police is raiding trains. Cops are going around smelling everybody's breath. But, have you ever seen a rich and powerful person being harassed?" Prem Prakash asks. Like Prakash, many people are wondering why Nitish is challenging every BJP-ruled state to implement the same policy. Yet, he remains silent about the neighbouring states of UP and Bengal, where anti-BJP parties are in power. After all, the illegal supply of liquor in Bihar would not cease merely if the BJP-ruled Jharkhand imposed a ban on it. The same sentiment runs through other segments of the society too. The former JD(U) leader Shivanand Tiwari believes Nitish has become an 'extremist' when it comes to the policy of liquor prohibition. A senior excise department official agrees that the anti-liquor drive is missing at airports, as affluent people mostly travel through the air. The political temperature is already high on the issue. BJP leader Sushil Modi claims the prohibition policy has completely failed. "Nearly 14,000 people have been arrested so far under the new anti-liquor law. Yet, liquor is still being seized every day in different parts of the state," he points out. While Modi is expected to criticise government's policies as the Leader of the Opposition, Nitish is drawing flak for his policy from his own alliance too. RJD leader Raghuvansh Prasad had launched a scathing attack on the Chief Minister after the Gopalganj tragedy. "What is wrong in saying that the Gopalganj tragedy was a result of the new anti-liquor policy? The new law is rubbish," he had said. There is speculation that Raghuvansh had the backing of Lalu Prasad. After all, the Gopalganj area is considered the RJD's bastion. Lalu's ancestral village, Phulwaria, falls in the same region. Although the RJD supremo has refrained from directly reacting to the prohibition law, saying only that "such a stringent law is not right". Nevertheless, Lalu is unhappy with the new law, if sources close to him are to be believed. He is wary of losing his own vote bank, as most of the people arrested under the new law belong to the Dalit community and other backward classes. Lalu is also apparently miffed because his son and Deputy CM Tejaswi Yadav was not present at the Cabinet meeting when the new law was cleared. Lalu is apparently waiting for the right opportunity to put the government on the back foot. As senior journalist Raghvendra sums it up: "It remains to be seen whether Nitish would rise to prominence on the national stage through this policy. But, it will certainly leave him isolated on his own turf in the near future." Nitish declares prohibition in Bihar. Is it worth the cost and effort? Beef politics ahead of Eid: what is Haryana CM Manohar Lal Khattar up to? READ NEXT >> Beef politics ahead of Eid: what is Haryana CM Manohar Lal Khattar up to?